At least once a decade since the late Sixties, The Spider has garnered some kind of well-intentioned but all-too-brief reprint run here in the U.S. Only more recently, as pulp reprints have become the domain of more serious, smaller publishers has The Spider really flourished and established a steady flow of volumes. Want to get started (or continue) reading The Spider right now? There are currently four publishers reprinting the adventures of Richard Wentworth, and one other doing e-texts. 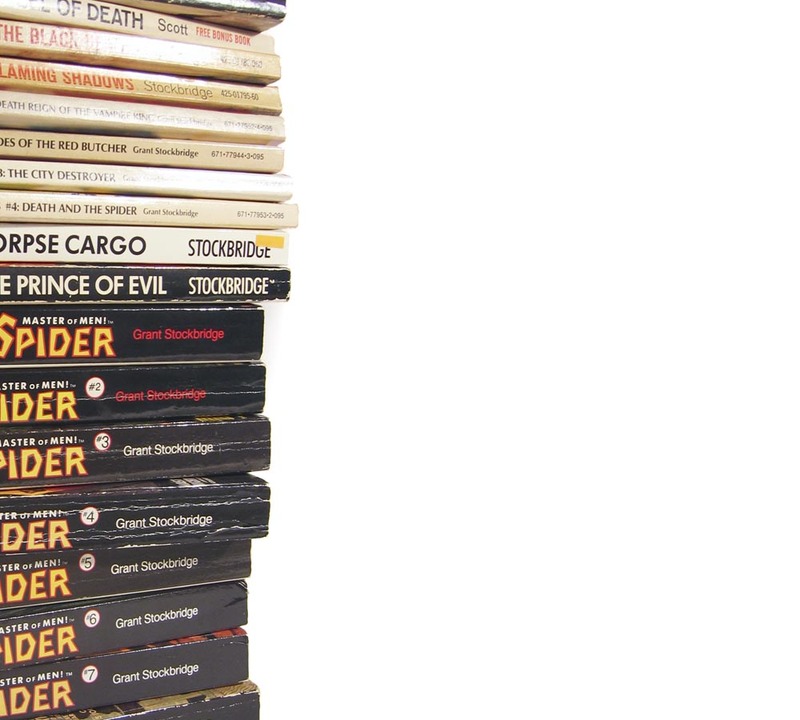 From 1969 to 1993, four different publishers attempted mass-market paperback series of The Spider. Most only lasted three or four volumes, but Carrol & Graf did manage eight total. Facsimile editions are also called "full-count" reprints since they attempt to reprint the old pulp magazine page-for-page with all the interior artwork. Starting as early as the 1930s The Spider was being translated into Dutch and Spanish. Probably some other languages too, but this page represents as much as I know. These are all the cover images from each publisher in this section, collected on one page for easy viewing.